The Leicestershire Footpath Association can trace its history back to 1850 making it the oldest extant footpath campaigning group in the world. I borrow these last words from Mike Parker’s book ‘The Wild Rover’ where he offered the accolade to another organisation. I will here prove him wrong. 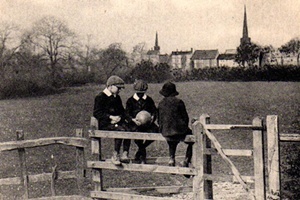 There is no doubt that on June 10th 1887 at a meeting in the school board room of the Municipal Buildings with W. Simpson in the Chair, the Leicestershire Footpath was re-established as the campaign group for the protection and preservation of footpaths in Leicestershire. Members of the committee have over those 125 years studiously submitted the minutes, annual reports and a mass of correspondence on deposit at the Leicestershire Records Office. Early activities of the Association concentrated on campaigns to save individual paths and to generally protect all paths. To this end members inspected known paths, consulted parish councils and in 1904 published a map showing footpaths and bridle roads in a part of the county. This was reprinted in 1930 and titled “Map of Footpaths & Bridle Roads on the Charnwood Forest”. It was perhaps part of a publicity campaign to encourage use of the paths because in 1920 the committee published a programme of summer walks. A later move to encourage leisure use of footpaths was by publishing circular walks. 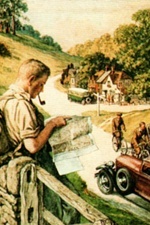 Footpath Rambles in Leicestershire is”a complete ramblers guide” published in the 1940’s. 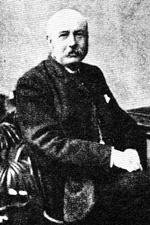 “The Leicestershire Footpath Association began its labours in the year 1850……..The death of its active Chairman (John Flower Esq.) a few years ago, was followed, however, by a temporary suspension of its operations, which are about to be resumed.